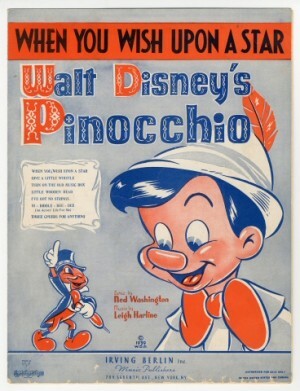 This song was written for the 1940 Walt Disney adaption of Pinocchio. It was sung by Cliff Edwards as Jiminy Cricket. “When You Wish Upon A Star” won the Academy Award for Best Original Song, and was the first Disney song to win this award. Th American Film Institute rated it seventh in their 100 Greatest Songs in Film History. The song has also been recognized by the Library of Congress, which preserved the song in National Recording Registry in 2009. “When You Wish Upon A Star” was recorded in June 1998 and released that same year on the album The Playground. “When You Wish Upon A Star” with Jackie Evancho was recorded in 2011 and was released that year on Duets II. It was arranged by Jorge Calandrelli.